Recalling the classic conversations about ‘nothing’ at Monk’s Cafe on the Upper West Side, Jerry Seinfeldnow applies this formula to a relatively new web series: Comedians in Cars Getting Coffee. As the title might infer, the comedy legend invites other iconic funnymen to a cup of joe in his favorite coffee shops, also recounting their life experiences over the roar of some pretty impressive automobiles. 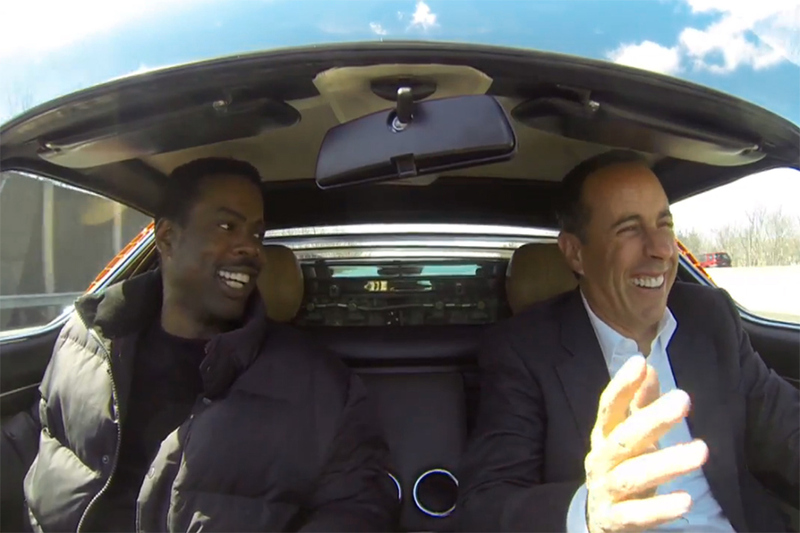 In the latest episode, Seinfeld pairs up with Chris Rock to talk about childhood, law enforcement, and even skateboarding, amongst other things. This hilarious installment, Comedians in Cars Getting Coffee’s, has may episodes with other comedians like David Letterman, Sarah Silverman, and Larry David and more to come.